LG has built in both its transparent and rollable OLED technologies into the one screen, and the panel itself will deliver 3840 x 2160 UHD resolution with a 40% transparency, according to the company. The screen will also roll up into a tube shape with an outer diameter of 160mm without any detriment to its functionality. LG’s most recent TVs have included an Ambient Mode, which enables a display to blend in with your décor, so the role of transparent TV tech as found in the rollable OLED might well have its place in the home too. 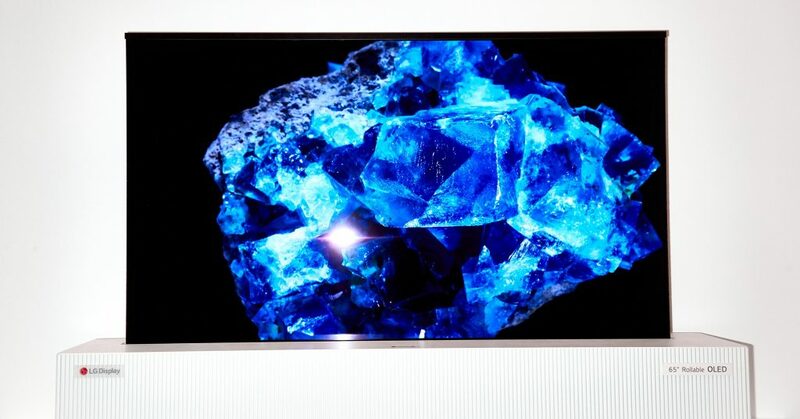 I very much look forward to a $5k 120" OLED roll in my basement circa 2025. When they make a 120" diagonal OLED rollable that's under 5K (anything's possible) I'll think about retiring a few of my 1080 LCD projectors. But I'll always need to keep my Sharp DLP projectors going for perfect 3D.